A fantastic custom wall sticker, great for a childs bedroom or nursery. 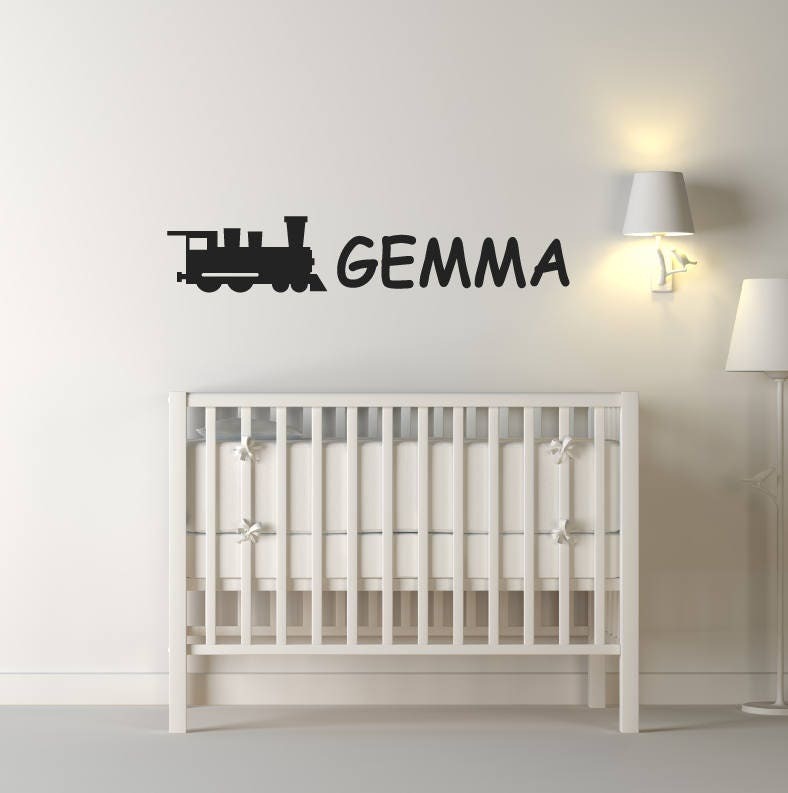 Personalise the wall decal with a name of your choice, which includes a train clip art to really bring this custom nursery wall decal together. 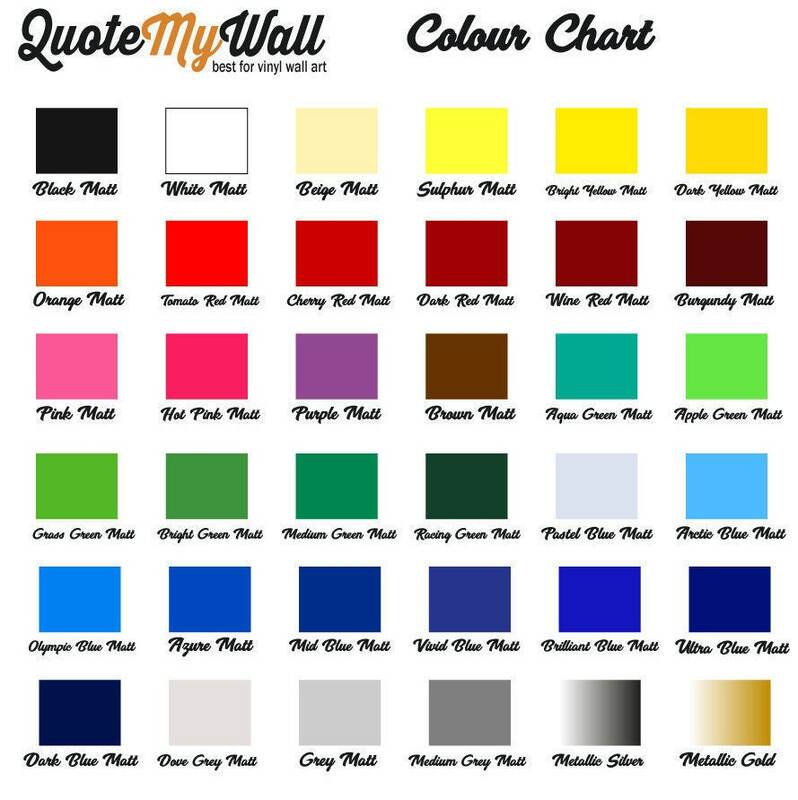 Available in 2 different sizes and 36 beautiful colour options. Please note that width varies depending on amount of letters in the name. Max letters is 10.